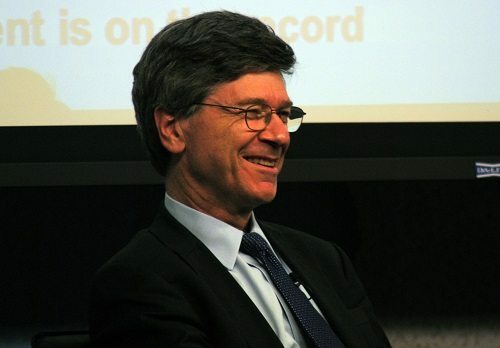 Not that he was in any way personally corrupt, but after Nina Munk’s book about Jeff Sachs’ efforts to eliminate poverty in parts of sub-Saharan Africa (The Idealist), it still requires a deep breath to read his jeremiad about impunity. The only individual he names in the article is Sepp Blatter and, other than FIFA, the only specific institutions he mentions (besides the White House feting big bankers) are JPMorgan Chase and, surprisingly, the Clinton Foundation. As examples of a culture of impunity, Blatter, JPMorgan Chase, and perhaps the Clintons’ philanthropic empire work exceptionally well. Sachs is certainly right that in modern society, some privileged people and institutions feel free to behave as though they are above the law, operating above the rules of propriety and responsibility. There will be no consequences for their actions; rules are made for others, not for them. That’s why, as Sachs notes, JPMorgan Chase can get fined $20 billion for financial malfeasance but JPMorgan’s CEO walks away with an eight-figure salary at the same time. How does Sachs link in the Clinton Foundation in this analysis? Sachs is dead on in his analysis of the impunity trap regarding public corruption. He describes how “morally noxious” and “deeply corrosive to wellbeing” it is. He correctly calls for enforcement of the law, such as the indictments of the FIFA reprobates, and protection of whistleblowers as two necessary steps to overcome the impunity trap. Sachs himself is no Sepp Blatter for sure, though his own ideas for the post-Soviet economic transition of Russia under Boris Yeltsin, the so-called “shock therapy” that he promoted as an advisor to a number of Eastern European nations after the collapse of the Iron Curtain, and his poverty-ending efforts in Africa through the Millennium Villages Project have earned him many strident, high-profile critics. Sachs has been rather resistant in many settings to acknowledge the shortcomings of his prescriptions, notably suggesting that the crises that ensued in Russia and elsewhere came because those countries didn’t fully listen to and implement his advice. His own sense of impunity appears to be based on his intellect, that he is smarter and more insightful than his critics, though his critics such as William Easterly, Esther Duflo, and Joseph Stiglitz are hardly lightweights. As Munk’s book implies, it may be Sachs’ outsized ego that makes him resist acknowledging that his advice and solutions for Russia and Africa might not have turned out quite the way he imagined—and not because of the inherent inadequacies of the Russians and the Africans. The culture of impunity goes far beyond the likes of Sepp Blatter or Angelo Mozilo who think they can make up their own rules. In our sector, it extends to institutions—philanthropic and otherwise—that engage in top-down social engineering, allowing community engagement only within approved parameters and then acknowledging failure only to the extent that the communities they engineered might not have listened well enough or been ready to perform the roles engineered for them. That isn’t to pick on Sachs or Hewlett, but simply a recognition that the “impunity” in our sector seems to rest with those actors whose personal or institutional behavior is that they know a lot more than the communities they aim to help. Many of us have done the same, with community consequences that we acknowledge as failures, but unlike the neighborhood residents, we go home, while they still live there wondering whatever happened to the promises of significant social progress. Drug companies have been fined over excessive promotion of opioids, but their business model has been largely unaffected to date. However, that may be changing as lawsuits filed by states, local governments, and American Indian nations mount and opioid deaths rise.